Bookings for FaceTime or Skype readings can be re-scheduled up to forty-eight (48) hours prior to your reading date free of charge; or cancelled entirely not less than seven (7) days prior to the original reading date free of charge. If you fail to be available to FaceTime or Skype at the scheduled day & time your money won’t be refunded. Why? Because another client would love to have your spot and I could schedule someone else for that time slot. I prefer to NOT do email readings. However, in extenuating circumstances, arrangements can be made. Please contact me at [email protected] To complete your email reading I need photographs of your coffee cup grounds, from at least three different angles.at least 3 days prior your reading day. Fees: All prices are listed on my website here. All are specified to be in US dollars and are subject to alteration without notice. Privacy: Whatever we talk during your session stays there. Your confidential information and contact details will never be shared with any third party. All correspondence between yourself and Vanatesse is intended for your personal use only. Copyright laws and confidentiality agreements apply. Children: There is ‘no children’ policy. Young children might distract you and/or I during the session. Disclaimer: All my psychic readings in real time or via other telecommunication methods or emails are given in a honest manner as a guidance only. As the client you are the one who is going to make your own decisions, relying solely on your discretion, circumstances and instincts. 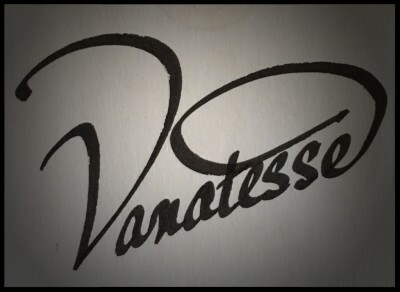 Vanatesse or my website shall not be held liable for any direct, indirect, incidental, consequential, or punitive damages arising from using this site and my services. Cancellation & Refund: Your readings are based on my interpratations of the shapes contained within your coffee cup, and the charges are paid for my time and service. I may need to cancel as a Reader if I cannot connect with you as a Client. I will not go ahead further with the reading and will refund your money. Again if you fail to show up at the scheduled day & time and do not contact me at least 48 hours prior to reschedule, your money will NOT be refunded.